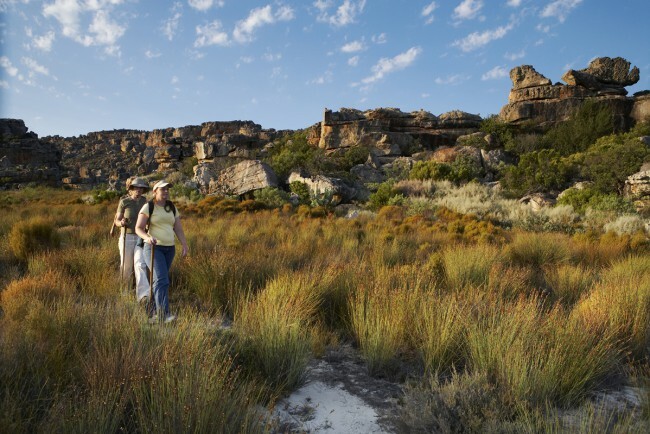 We offer 2 to 8 night slackpacking hiking trails for young and old in the Cederberg Mountains. You are escorted by local community members and stay in local community guesthouses/homestays or B&BS. The trails are fully catered and all that you carry is a small day pack, as luggage is transported between overnight stops. Most of the trails include donkey cart rides, swimming in rock pools and guided rock art walks. The mountain scenery is magnificent and the fynbos vegetation stunning, particularly in the spring from July to October. The best time to hike these trails is from late March to early November.